There are many reasons why a Leaking Tap Melbourne can occur in your bathroom, kitchen, laundry and even in your garage. A small leaking tap may not look like a big deal; however, those wasted drops of water add up. A good quality tap is critical to the efficiency of your home and that’s why it’s important to keep them in good working. Keeping in mind that a leaking tap Melbourne not only disturbs sleep but can add to your water bill. On top of that a leaking tap will cause inconvenience to your daily schedule. 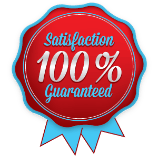 For immediate service call 1300 668 834. The main reasons for a Leaking Tap Melbourne are: mineral deposits on internal parts, corrosion or defective washers, gaskets or O-rings. If a leaking tap is ignored, hundreds of litres of water are wasted each month. There are several reasons why a Leaking Tap Melbourne occurs such as a corroded valve seat, a worn-out washer, improper installation of a washer, loose parts, worn out seal or a broken pipe or fittings. Many people assume that they can take care of a leaking tap without a professional plumber. Doing it yourself could say time and money or it could worsen the problem. Unless you are a trained plumber Melbourne, you won’t know what is causing the leak. In most cases, it is best to call a local plumber Melbourne. Call 1300 668 834 for 24/7 service. So here’s what can happen if you attempt the fix the problem yourself. If you bring out the tools and begin to take apart the faucet, you could end up in big trouble. Your handy work could lead to a major leak that could cause water damage. If water damage could mean expensive repairs that could have been avoided. You could waste valuable time and money because you lack experience. A leaking tap can lead to major problems so engage professional plumber Melbourne. When you hire a professional plumbing Melbourne service its likely you will save you time and money. At Inner City Plumbing we have the skills and knowledge to handle any plumbing repair, especially a leaking tap. A plumbing company will also be insured and offer warranties on labour and parts. Hiring a Leaking Tap Melbourne plumber will also allow you to continue your daily activities. 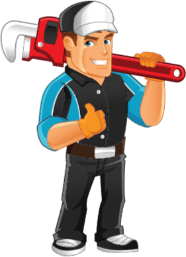 To conclude, a Leaking Tap Melbourne can be annoying and raise your water bills; however, to ensure that this plumbing problem is taken care of efficiently and quickly, call a plumber Melbourne, today! Don’t let a leaky faucet turn into a costly and mind-boggling project! Call 1300 668 834 to get your leaking tap fixed.